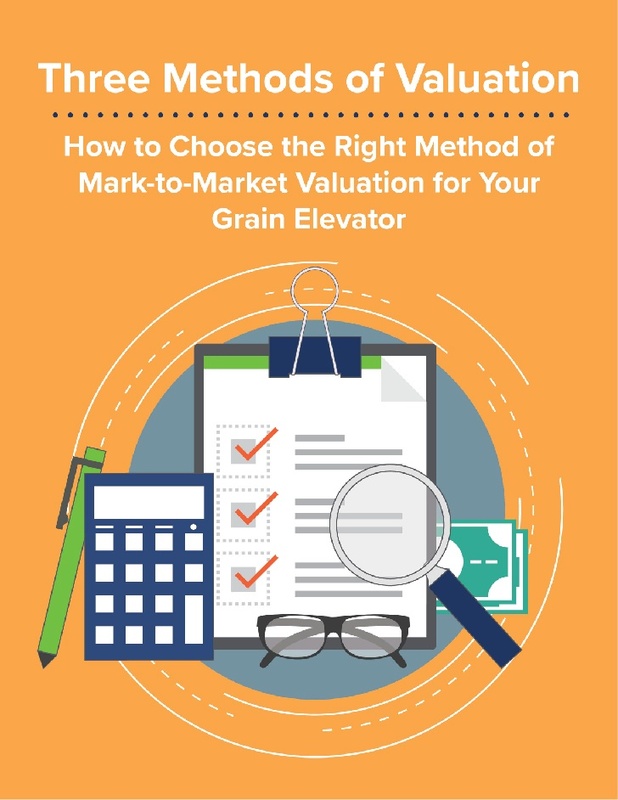 Download the eBook: "3 Methods of Valuation"
This eBook details the 3 primary methods of mark-to-market valuation of grain for grain elevators, and will serve you as a thorough but easy to digest reference manual for your bookkeeping practices. How handling margin affects potential grain valuation. Basis fluctuations and how not to pick up basis change in the MTM process. The two situations in which spread fluctuations will reflect in market values and results in capturing the unrealized gain/losses on the P & L.
Fill out the form below to get access to this exclusive content offer.